The Rarest Pigment On Earth Is Blue Pigment, But Why Blue Is Everywhere? You are here: Home / The Species / The Rarest Pigment On Earth Is Blue Pigment, But Why Blue Is Everywhere? What color determines the rarity of a creature? Some of you might think about albinism. Albinism is the absence of any pigmentation in a creature or plant. It makes them appear white in color, and for mammals they will have red eyes. Albinism is indeed a rare thing, but white is pretty common in nature. There is something rarer than this, and to see what is rarer than albinism we should upgrade the question above. What color is the rarest to be naturally found in the nature? The answer is not white, nor red, and not even black; the exact answer is blue. There is no color rarer than blue in the nature. Indeed we can find it in the sky or the ocean, but almost there is no animal or plant to naturally appears blue. Wait, if blue is the rarest color in the nature, why do we see it so much? That’s what we are going to talk about in this article. Most color pigments in animals’ bodies are not produced within the body. The pigments in animals’ bodies mostly come from their diets. For further work to give the animals specific colorization, those pigments are giving responses to outside factors such as sunlight and physics of lights. “Biological pigments are mainly organic compounds that selectively absorb incoming light and reflect the remaining wavelengths appearing as color,” said Radwanul Hasan Siddique, a researcher from California Institute of Technology. Simply said, animals are what they eat, in case of colorization. In example, if you ever see a flamingo chick, you might not be able to recognize it. 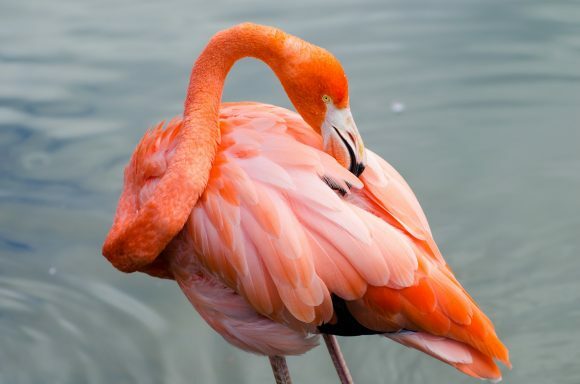 Flamingos are actually born gray, but as they age they will gain the infamous pink colorization. The color of their feather is actually the result of blue-green algae and brine shrimps they eat. Crustaceans like shrimps have some kind of pigments called caretonoids. This pigment is used by the flamingos to turn their feathers into pink. So, the reason why the color green, brown, and red are pretty common in nature is because the creatures with such colors are consuming things that help them develop the colors. This is the first reason why blue-colored animals can rarely be found in nature. 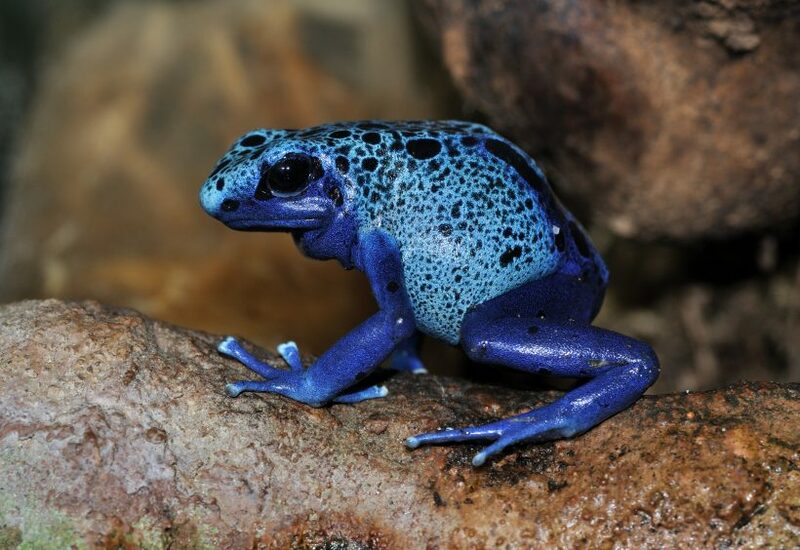 Although blue-colored animals can rarely be found in the nature, but it seems like it is not that rare to make the color special. 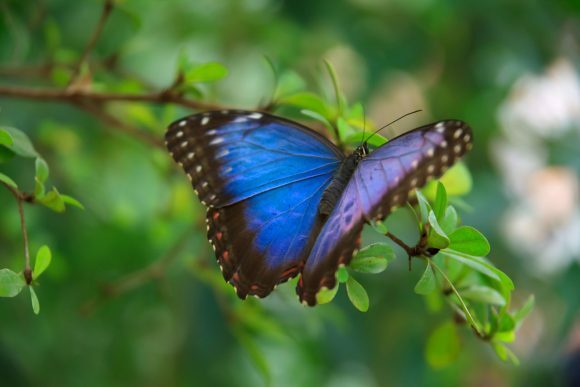 There are many butterflies and birds appear to be blue, such as blue morpho butterfly, blue jays, and parrots. However, those creatures are not actually blue, at least by pigmentation. Instead of carrying blue pigment in their body, those creatures are actually deceiving us by playing with how we perceive the reflection of lights. Blue morpho butterfly, instead of carrying or developing blue pigments to appear blue, utilizes the microscopic structure in their wings to produce the blue color. These millions of microscopic structures scatter white light in specific manner to make other color spectrum but blue cannot escape from it. In result, the only color we can perceive is blue. This lights play also happens to our eyes. If you have blue eyes, the colorization is the result of microscopic structure of your iris. Thus, even if you have the bluest eye color in the entire world, it doesn’t mean that you can produce the blue pigment in your body. Blue jays and peacocks also have similar mechanism in their feathers to make the color of their feathers blue. It is not the result of consuming excessive amount of blueberry like how flamingos get their pink colorization from eating the shrimps. Many creatures are toying with lights to get the blue colorization. But it doesn’t mean that there is no creature in this world to ever develop the color by itself. 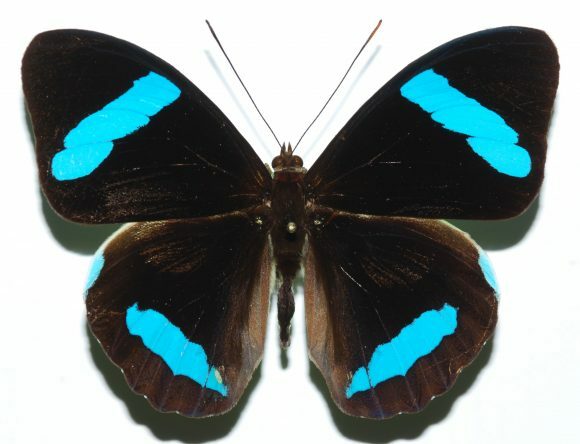 A genus of nymphalid butterflies called Nessaea develop their own blue colorization by pigmentation. Up until now, the Nessaea genus is the only group of animal in the world known to be able to develop blue pigment, which is called pterobilin. Even bigger predators like birds and lizards cannot adopt this ability by consuming the butterflies. These butterflies’ ability to develop blue pigment is a result of long evolution chains. The color formation of their wings, including the blue notch, is believed to be used as specific signaling method and some cryptic functions. But what about plants, how can so many flowers are colored blue? Well, this is a stranger mechanism since those plants are playing with chemicals to get the blue color. However, it is never the result of pigmentation. The fact is, plants are tweaking the red pigments by mixing it with other molecules or using pH shifts to get the color. This is the reason why even though bees never appear to be blue even when they constantly sucking the nectar of blue-flowered plants. You see, there are so many plants and animals in this world to appear having blue colorization. However, there is only one creature in this world known to develop blue pigment. The rest are just playing with physics and chemicals. However, all those blue colors are inspiring for many researchers. Whether it is the result of physics or chemicals, those animals and plants can do the impossible. Radwanul Hasan Siddique is one of the fascinated researchers. “I try to understand the underlying physics of fascinating optical structures found in nature. The next step is to develop affordable nanofabrication techniques to apply these findings, and incorporate them into device-level biomimetic engineering solutions for multifunctional optoelectronic and biomedical applications” he said. As we know that almost there is no natural blue pigment is produced by nature, thus almost all of those blue pigments come from artificial chemicals. And some of those chemicals might harm the nature. A simpler way to apply this nanofabrication technique might be in the textiles. 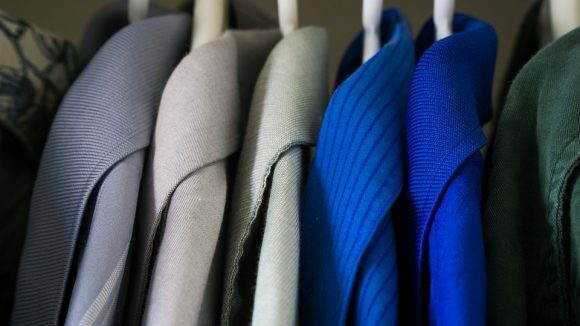 With using some specific techniques, someday we might be able to get the blue color for fashion items without using artificial chemicals, just like how blue morpho butterflies get their ‘blue’ colors.